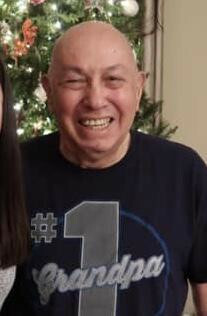 Hector A. Soto, 77, of Middletown, passed away Tuesday, January 29th. Hector was born in Santiago, Chile. He met his wife Maria there and they married in 1963. They came to America in 1967 and were so proud to become Naturalized Citizens. They settled in Middletown in 1976. Hector was a custodian for the Middletown School District for many years retiring in 2007. Hector was an avid soccer fan and supported team Barcelona. He enjoyed trips to Atlantic City and vacations back home to Chile. He was happiest at home surrounded by his family, good friends and good food. Friends and relatives may pay their respects Saturday from 2-5 pm at Scott & Kedz Home for Funerals, 153 Church St., Belford. A Funeral Service will conclude the afternoon and a private cremation will follow.